Entertainment requires a creator, a perform, and an audience. 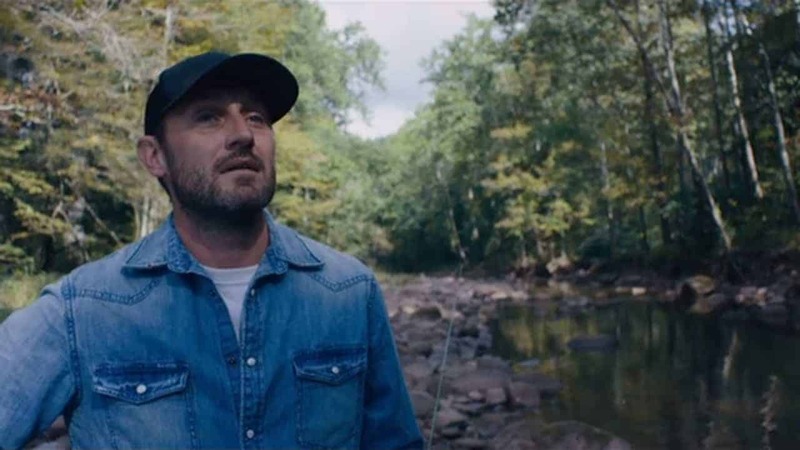 With a rich and varied career of performances on screen, Josh Stewart recently embraced the creation side of entertainment with his latest project, the film “Back Fork.” “Back Fork” delves into the complex emotions of a husband and wife grieving after the loss of their daughter, and the tragic world of opioid addiction. As writer, director, producer and star of “Black Fork,” Josh challenged himself to explore all facets of creating art for screen. Josh is known for his fearless portrayals in drama series such as Netflix’s THE PUNISHER, CBS’ CRIMINAL MINDS, USA Network’s SHOOTER, and FX’s DIRT. That fearlessness is complimented by Josh’s ability to convey the depths of humanity and emotional depths of each character he brings to life. 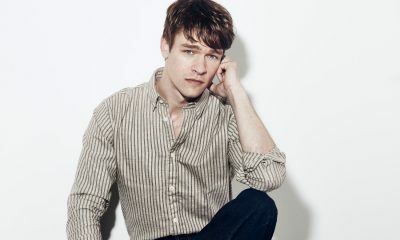 In an exclusive interview, Josh reflected on what made “Back Fork” the project that he not only wanted to showcase, but a character that he felt compelled to inhabit and infuse with such soul. What was the initial appeal for you about portraying the role of Waylon and working on “Back Fork”? JOSH: When I was writing the script, I wanted the characters to be real. Real people with real problems that anyone could relate to. I’ve always had the approach to a character from the stand point of what is human about them. What makes them real. Relatable. Understandable. Sympathetic. Once I have that, no matter what the character is, they have a purpose. How would you describe who your character Waylon is? JOSH: Waylon is a hard-working, good, everyman. He’ll do anything for anyone. He has a big heart and will stand up for what’s right. He’s just a man that got caught up by innocence means in a not-so-innocent world. What do you most admire about Waylon? JOSH: His strength. He’s everlasting. He’s gonna pull through. He’s gonna make it. He’s fighter. He may wade out into the mud and get dirty, but he’s gonna get himself cleaned up. What is it like working alongside A.J. Cook in this film? JOSH: We have such a great working relationship. I’ve known A.J. and her husband for years. When there’s a familiarity in the way anyone works, when you’ve spent time on set with another actor, you pick up on the way they work. Their instincts. Their ways. It just creates a natural flow in a scene so two people aren’t pulling at the same time. There’s a give and take…. How would you describe the dynamic between Waylon and Nida? 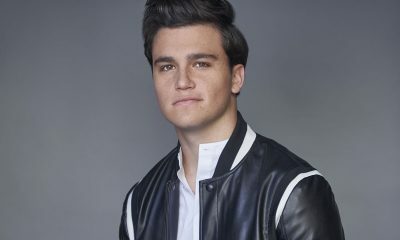 JOSH: Waylon and Nida are two people who love one another. They’re good people. They’ve just found themselves in the middle of an ocean with no idea where the shore is. And no matter how good of a swimmer you are, you’re not gonna make it. The strain of tragedy breaks them. They can’t help themselves, so they can’t help one another. What is the biggest hurdle for them to face and conquer in the film? JOSH: Themselves. They both need to face their own demons and find their own way through them. They can’t work on what they have until they’re both in a place that they no longer have to fix themselves. That’s not to say make themselves perfect, rather make themselves whole. If you’re not there for yourself, you can’t be there for anyone else. What has been the best part about the experience of working on “Back Fork”? JOSH: Seeing it through from start to finish. Writing it, directing it, producing, acting, just being involved in every step from start to finish with a group of people who are just as passionate about it as I was. You can’t beat the relationships and the bonds you form. Were there any challenges (weather-wise or technical) during the filming of “Back Fork” that arose that were surprisingly conquered? JOSH: With any independent film, it’s schedule and budget. With having a small budget, you have to be concise. Decisive. Which isn’t a bad thing, in fact, it’s a great thing. But you’re constantly mindful of time and the resources at your disposal. But if your crew buys into it, you’re golden. You need all hands on deck, if that’s the case. You had quite a surprising role in Netflix’s “The Punisher” Season 2 as John Pilgrim. What did you appreciate most about portraying that character? JOSH: His dog mentality. He never gives up. When he believes in something, it’s 100%. There’s no half-way. When he believes, he believes. Do you think John Pilgrim’s story was fully concluded at the end of Season 2, or did you have hope that his journey in “The Punisher” would have continued had the series gone on to a Season 3? JOSH: I think there was a ton of story left with Pilgrim. I think we barely scratched the surface with this dude. So much about where he came from, why he changed, his past coming back to haunt him, and where did he go from the end of season 2, you know? So many ways to go. So many stories. JOSH: That there is no rhyme or reason to any of it. None of it. What is today, may not be tomorrow. The reasons you get a job, the reasons you don’t. It’s like wind-blown leaves. Who knows where you’re going to end up. JOSH: I’ve had the fortune of working with a lot of great and talented people. So when I decide to make a movie like “Back Fork”, there’s a pool of talent there that you hope will want to work with you in a different capacity. JOSH: It’s hard to say. Every job, every character really has a unique place in your heart. Things you love and hate. So it’s tough to say. JOSH: Yeah, don’t believe anything anyone says about you. If you believe the good things people say, you have to believe the bad. JOSH: Do something else. Unless you’re addicted to it, don’t do it. Go make a difference in the world.